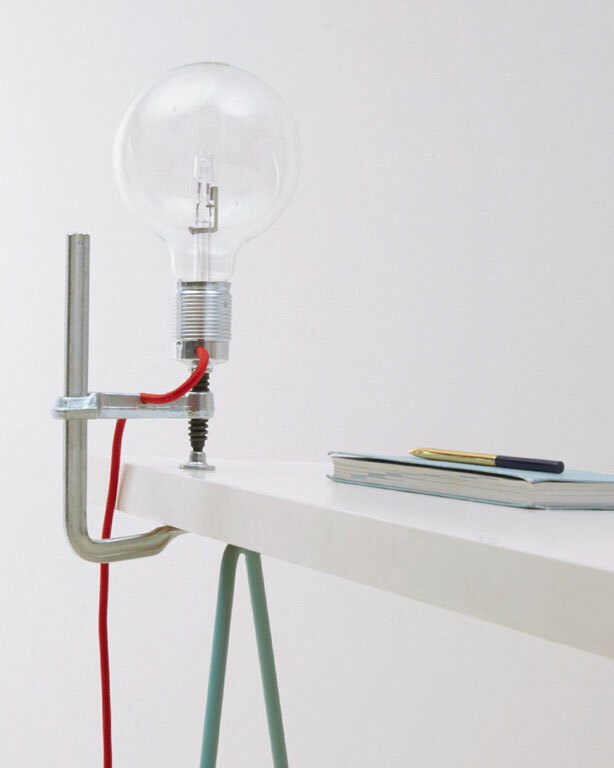 A clamp that is turned into a lamp. By combining an iconic tool with an aluminium fitting, a practical object with industrial feel emerges. The red fabric cable refers to the red wooden handle with which the clamp normally is tightened. 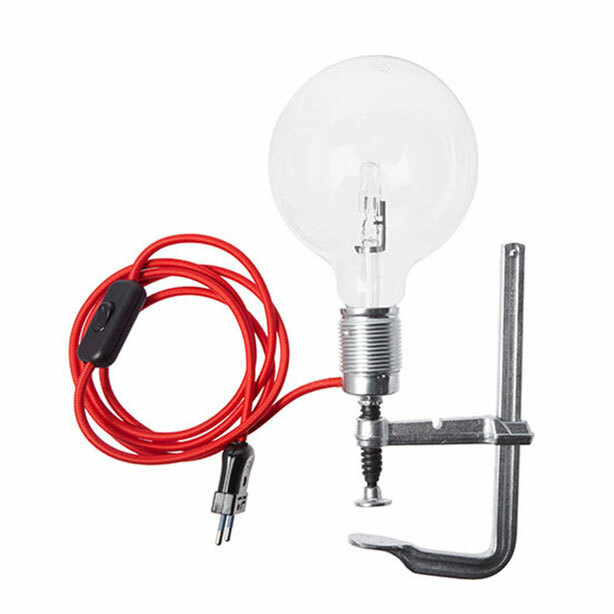 The Clamp Light is a practical and decorative lamp that can be clamped anywhere in the house.